IdleHearts / Quotes by Anthony Keith Gwynn Sr. 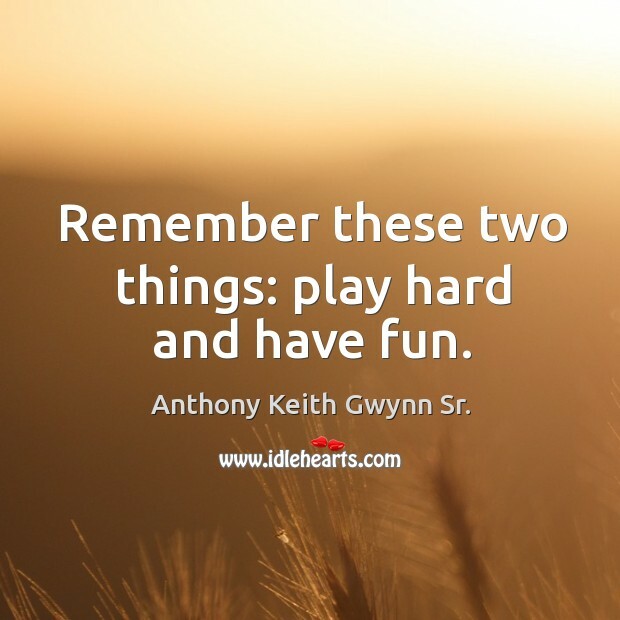 Enjoy the best inspirational, motivational, positive, funny and famous quotes by Anthony Keith Gwynn Sr.. Use words and picture quotations to push forward and inspire you keep going in life! Remember these two things: play hard and have fun.